Imagining sights that I could not enjoy. With the aging population and demand for creating a friendly environment, the concept of accessible residential space has gradually gained attention and became part of the mainstream. 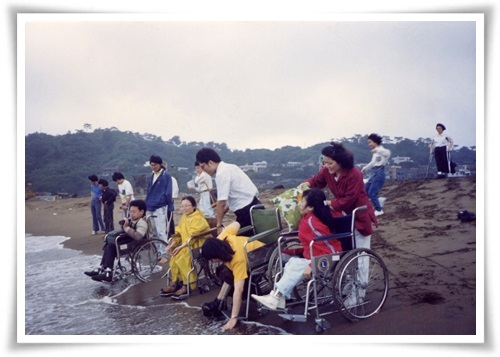 As early as 1987, the Eden Social Welfare Foundation promoted accessible environment spatial design, and gathered architectural experts to organized exhibition tours in northern, central and southern Taiwan. The exhibitions influenced local governments, to start to evaluate the implementation of accessible buildings. The Ministry of Education also required 12 universities to create accessible environments for physically and mentally disabled students. 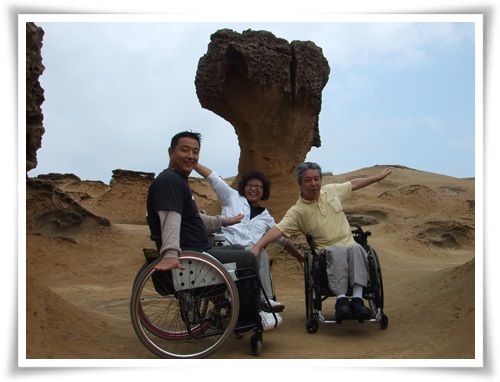 The Foundation also provides services on planned trips for the physically and mentally disabled, advocating accessible tours and evaluating the accessibility of public spaces. All these were carried out to satisfy the needs of the increasingly diverse population of the needy. The Foundation believes that love can remove all obstacles. 1. Accessible Space: Most residences do not have a completely planned accessible environment. Physically and mentally disabled people experience multiple obstacles when moving horizontally or vertically. The Foundation hopes to construct a friendlier space, a residential space in which everyone can be themselves. 2. Accessible Tours: The Foundation has actively promoted “traveling motility”, and collaborated with experts and corporate owners in the tourism industry, academia and architecture field to construct an accessible traveling information platform to support the disabled to experience the outdoors and enjoy an easy life. 3. Accessible transportation: The Foundation is commissioned by the government to execute the “recovery bus” transportation project, and to assist evaluating accessibility facilities aboard other public transportation systems. Chi-ling, an elementary school teacher, could only travel via a wheelchair due to her illness; since traveling outside reduces her sense of security, her interest in recreational and outdoor activities were greatly reduced. Chi-ling finally reentered the crowd when she joined Eden Social Welfare Foundation Accessible Tours. She traveled across Japan and Europe, and even had a scuba diving experience with 50 other friends who were persons with disabilities. Since then, Chi-ling has traveled to more places and has gained the courage to pursue a life with more diversity.